I have finally gotten my SHIZ together and am blogging, and filming, and actually going to the gym again!! The only downside of this is my body is sore as you know what, I literally feel like I’ve been hit by a car, and no I am not being dramatic lol. Anytime someone takes a break from working out and then jumps back in at the same level they were when they stopped, they will be suffering, so I have decided to go do a Hot Yoga class at CorePower today to try and loosen my body up, relax my muscles, and relive all the tension I’ve been holding since my life got hectic. 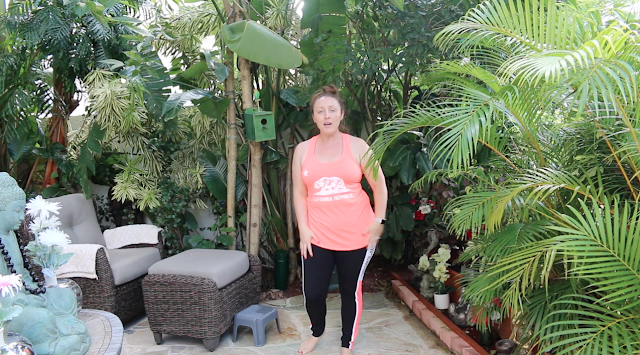 Today I am wearing the Pink top that I got from Ross and shown in my Fitness Haul Video, and then my Victoria Secret Pink Ultimate Yoga Leggings, that were also featured in my Fitness Haul Video. I am so glad I decided to set myself up with a whole new fitness gear wardrobe, not only was I in need as all my other stuff was starting to get really worn and I had a few pieces that actually had holes in them, but I have found feeling good about your outfit can really help motivate you in the gym, and these leggings are so soft and comfy and the top is to die for, I am going back to Ross tomorrow to see if they have any other colors lol. Ok I am off to yoga now, but before I go, what do you do to get yourself motivated for the gym?